Liquid Armour's Hydrophobic multi-surface coating forms nanoscale layers on textiles and hard surfaces, immediately bestowing anti-stain and water resistant properties on most materials. Fabrics coated with Liquid Armour's nanoscale hydrophobic treatments become very easy to clean as they inherit water, oil, and dirt repelling characteristics. 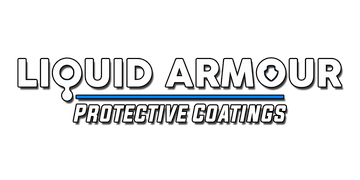 There are several methods for applying Liquid Armour's innovative hydrophobic coating technology, each of them are easy to perform. Liquid Armour's hydrophobic treatments are usually also oleophobic, meaning they are very effective at repelling oils as well. Received the product last week, sprayed on my rear sear of the truck, let dry and sprayed a second layer. Let that dry and liquid beaded instantly, easy application!